We bring the best craftsmanship and African culture. Ialha en lengua bambara (West Africa) means going for a walk and in Arabic roughly translates as we, forward. Africaialha equipment moves Africa one or two times a year from 1.999. This enabled us to understand the different realities of much of this continent through contact and experiences with its inhabitants. The partnership comes from the time when we decided that in addition to investing in African crafts could also do more, leverage our trips to open a path back and forth between this continent and called the "first world". Publicize aspects between continents so close seem so far due to lack of mutual. Open a communication channel, exchange and understanding that we approach and avoid cultural distance that separates us. From these principles began to be interested in the projects of local associations of the various towns and cities we passed, We have been tracking those who have sustained over time and we have seen its evolution and transformation over several years. 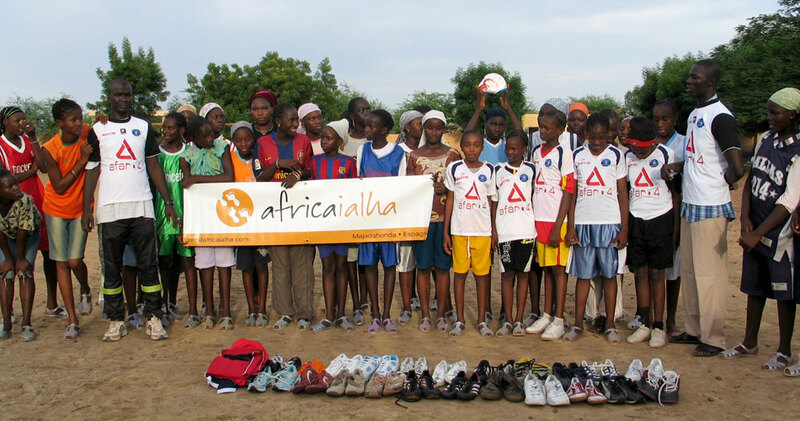 Africaialha wants to connect all those individuals and organizations willing to collaborate with each other for a cause of common concern in any field and range. To make this possible we start in February 2009 Project solidarity trips. Africaialha Association is registered in the National Registry of Associations in Group: 1/ Section: 1/ National Number: 594820. If a member of Africaialha can work with something much more important than your money, with your time. You can come with us to visit some of the projects we develop in Africa. You can offer advice and assistance in that area and we always need master: accounting, communication, computing, etc. You can help us meet the office or even packaging and dosing donations. Visit the blog to find out all the news about our products, techniques and artisans we work hand in hand from Africa. Become a member of our association to travel to Africa and work in the various projects we are developing cooperation. Contact us to discover our latest developments and resolve any doubts you have about buying online and shipping products.